Hi guys!! Happy Sunday!! I hope you are having a great weekend! 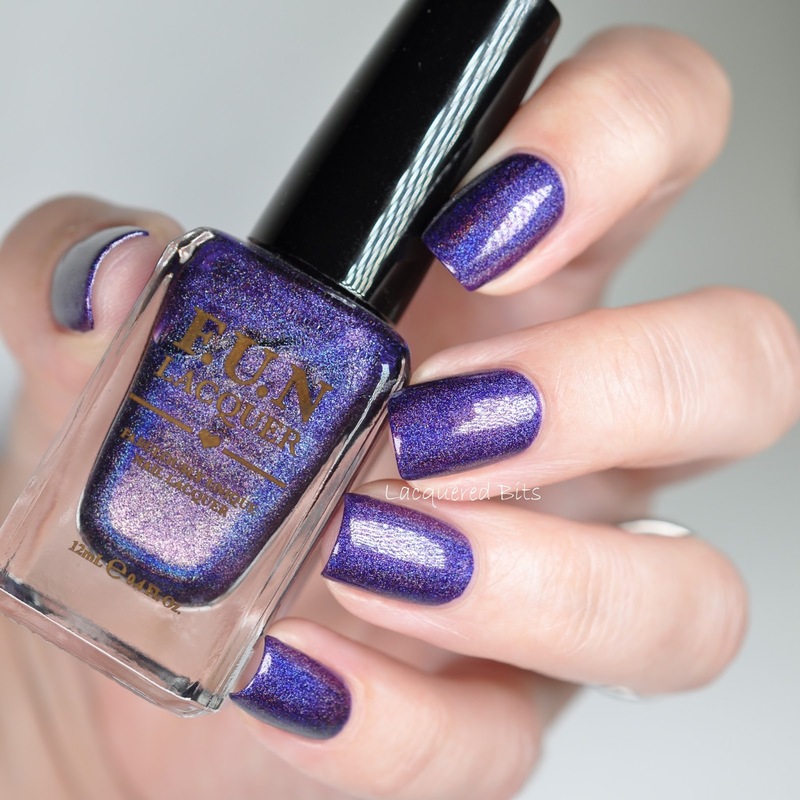 Today I have a swatch of F.U.N Lacquer – Evening Gown for you and then I did some nail art too. Check them out. 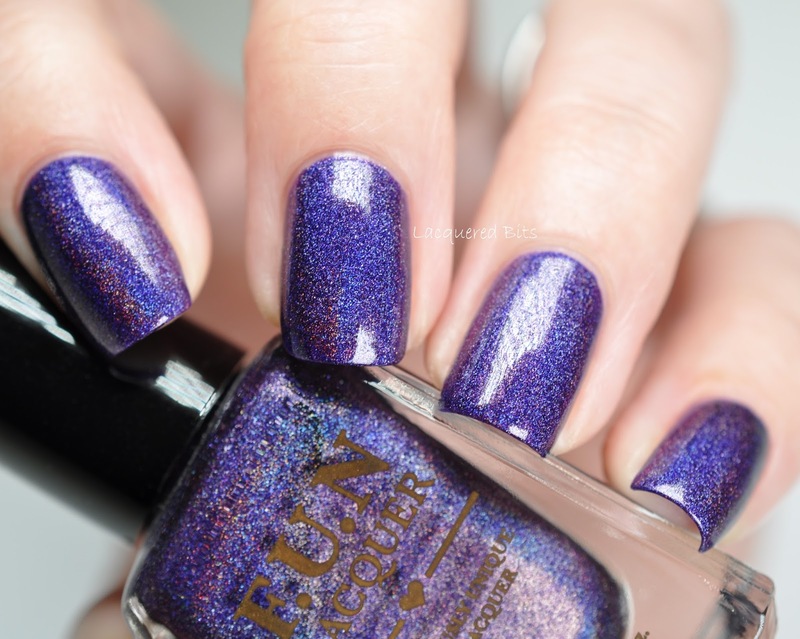 Evening Gown is a vampy purple linear holo and it is a part of their Summer 2014 Collection. 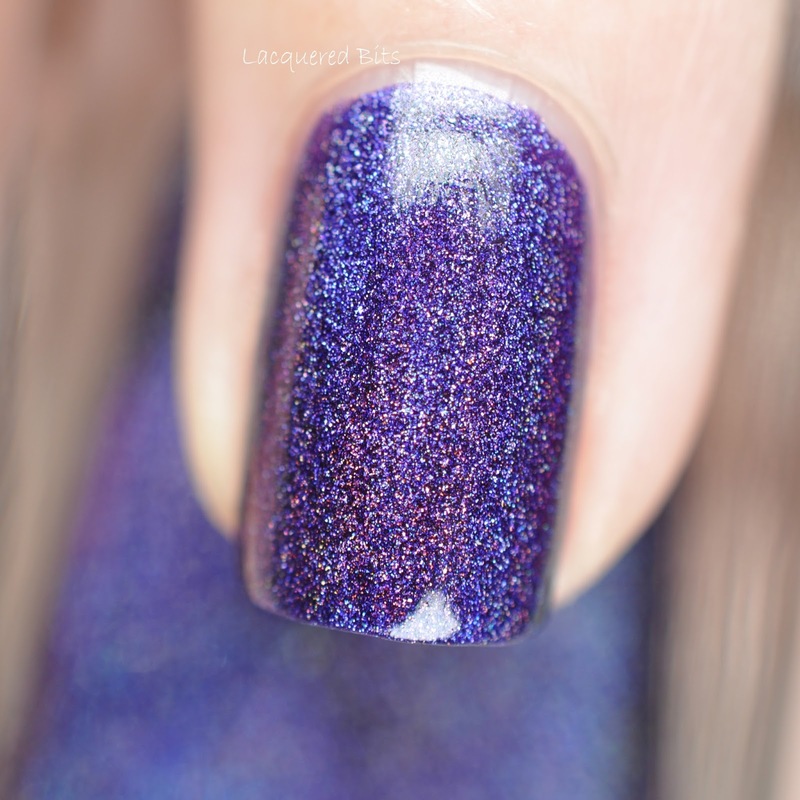 It was easy to apply and it needed two coats for full opacity. 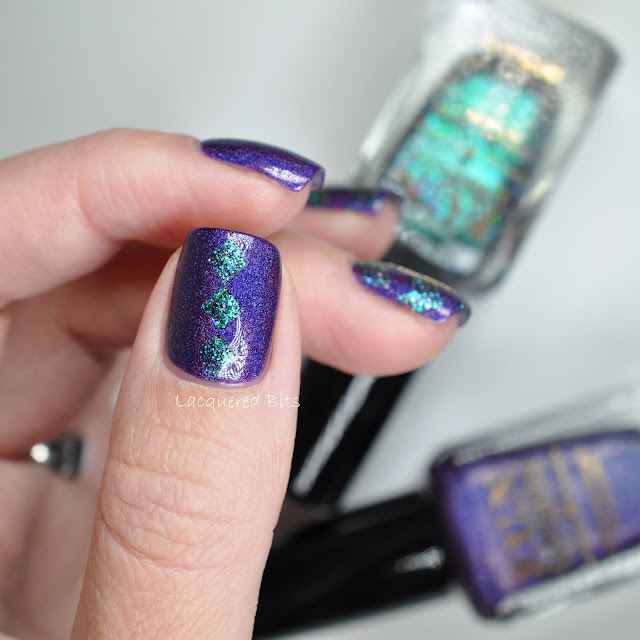 And look at the holo, it’s coming out although I have no direct light in the photos. They are all taken in artificial diffused light. That’s amazing!! I did two accent nails and I used chevron vinyls to do the pattern. 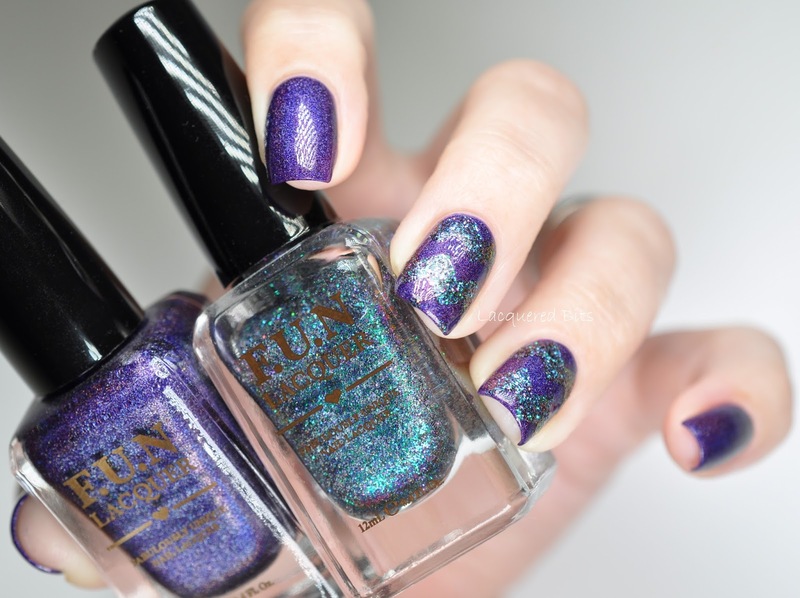 For the glitter chevrons I used F.U.N Lacquer – Edgy (H) which is not opaque at all, so I had to sponge it on with the make up sponge. As you can see I did something different on my thumb. 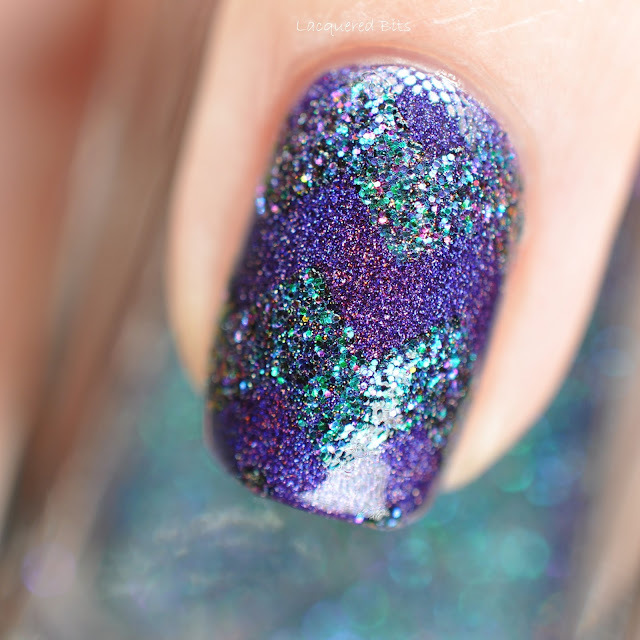 This time I put two vinyls on my nail to create little cubes that touch each other in corners. It was hard to take a clear macro shot because of all the holo going on behind the glitter. But I think I managed to do it, so that you can see how it looks up close. What do you think? 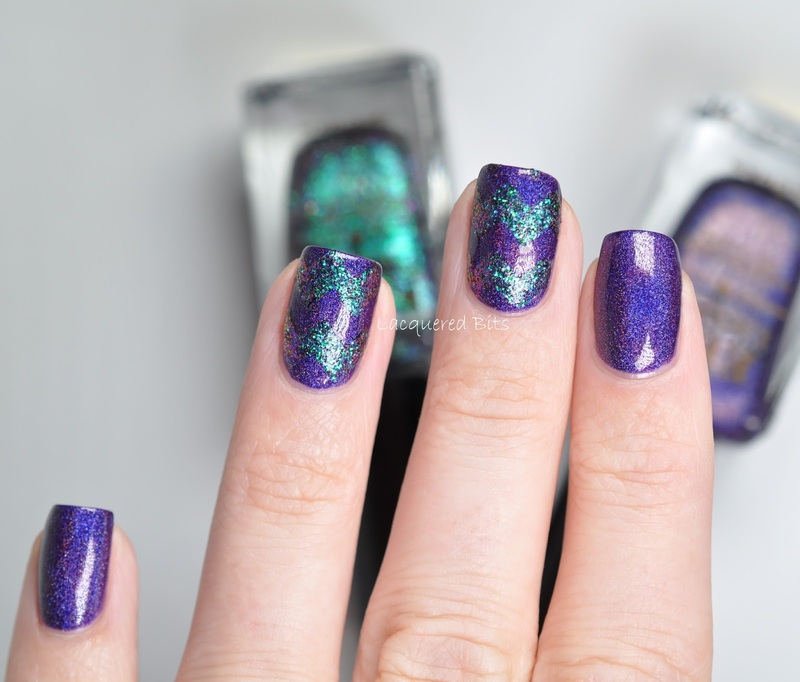 I really like how the multi chrome glitter (which shifts from green to purple) gives an edge to this mani.